Tickets for the Lexington show can be purchased at www.Livenation.com, www.Ticketmaster.com, the Rupp Arena box office and all Ticketmaster outlets. Charge by phone at 1.800.745.3000. All tickets are subject to applicable fees. *Exact Pearl Jam performance dates at New Orleans Jazz & Heritage Festival and Bonnaroo to be announced by festivals over the coming months. October 22, 2015 officially marked 25 years of Pearl Jam performing live. Ten studio albums, hundreds of unique live performances and hundreds of official live concert bootleg releases later, the band continue to be critically acclaimed and commercially successful -- with over 60 million albums sold worldwide. Pearl Jam released their Grammy Award-winning tenth studio album, Lightning Bolt, through Monkeywrench Records/Republic Records on October 15, 2013.Lightning Bolt debuted at #1 on the Billboard Top 200 chart as well as #1 on iTunes in over 50 countries and is available now at www.pearljam.com, via iTunes and all major retailers. 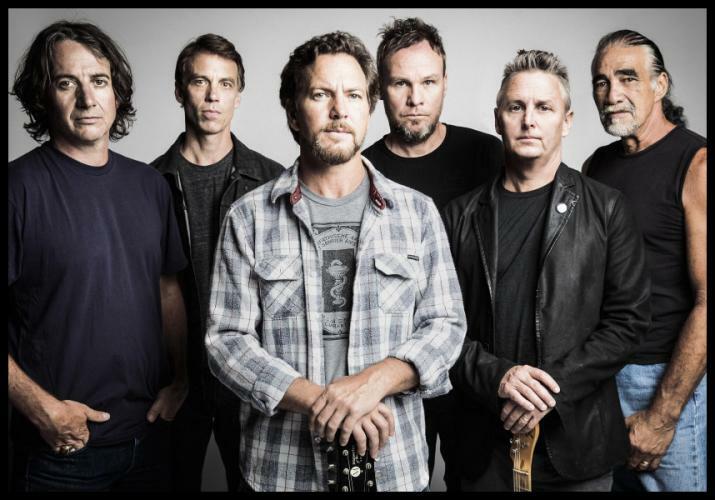 $3 USD from each Pearl Jam concert ticket sold goes to Vitalogy Foundation to support non-profit organizations doing commendable work in the fields of community health, the environment, arts and education and social justice.